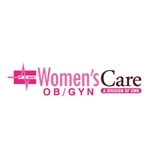 Women's Care OB/GYN (Paterson) - Book Appointment Online! This was the second time I saw Dr. Diane Mustafa for my annual check up and I am very comfortable with her, she is very kind and listens. I would highly recommend her and I am happy I found her on ZocDoc. Highly recommend this practice. The staff was extremely professional and very friendly. Waited only a few minutes to be seen. Dr. Sticco didn’t rush the appointment and took the time to answer all of my questions. Very satisfied with my visit.